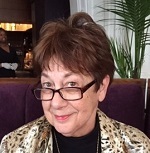 Dr. Gloria Hill is a retired professor of education and Director of Clinical Experiences at Rowan University. Dr. Hill also coordinated the Urban Teacher Residency Program at Rowan University where she received the Excellence in Teaching in May of 2012. Dr. Hill authored several articles on urban teaching including “When Career Changers Feel Like Fish Out of Water”: Lessons and Solutions from an Urban Teacher Residency Program in a Professional Development School, National Association of Professional Development Schools Journal; January, 2013 and “Nurturing the Collaborative Co-Teaching Relationship in an Urban Teacher Residency Program: Surprises, Solutions and Successes” at the 5th Annual Great Teachers for our City Schools, Denver, CO 3/2011. Dr. Hill has presented on numerous topics including “What Teachers Need to Know About Students without Permanent Homes Who Are In Your Classrooms,” International Conference on Education, Paris, France, 7.20.10.